Born to second-generation Japanese-Korean parents in Kyoto, judoka An Chang-rim now competes for South Korea, proudly wearing the national flag on his left chest and patriotism on his sleeve. 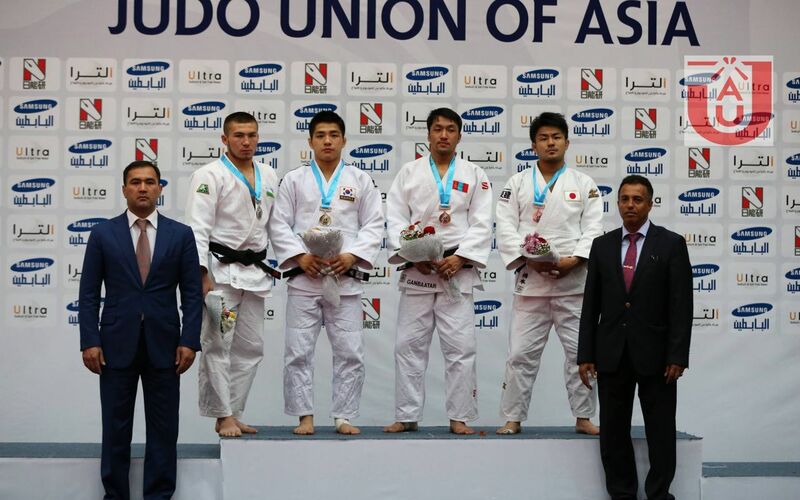 Representing the country of his grandparents, the 21-year-old was the winner of the men's under-73kg event at the Summer Universiade in Gwangju on Monday. Along the way, An had to beat his chief Japanese rival, Yuji Yamamoto, who would have been his teammate had An taken the offer to join the Japanese national team in 2013. An was a college sophomore then and won the under-73kg division at the All Japan Student Judo Championships. To hear An tell it, that victory over Yamamoto in the semifinals was a dream come true. "My dream since early childhood has been to beat a Japanese judoka wearing a South Korean flag," he told reporters after winning the Universiade title at Yeomju Bitgoeul Gymnasium. "I was never discriminated against here, which allowed me to focus only on training." Instead of competing for Japan, An transferred to a South Korean college in February 2014 and within a month, distinguished himself by placing third in the second round of the South Korean national team trials. In June 2014, An finished on top in the final round of the national team trials and earned a ticket to the world championships. He was knocked out after the second round in Chelyabinsk, Russia, but the defeat simply turned out to be a bump in the road, as the relentless South Korean swept the titles of the Judo Grand Prix and the South Korean Chairman's Cup in 2014, followed by the Asian Judo Championships and the national championships in 2015. With South Korea's Wang Ki-chun out of the way after the 2008 Olympic silver medalist moved up a weight class in 2013, An basically remains unchallenged in South Korea's under-73㎏ category, considered the most prestigious division that has produced several stars, including the 2012 Olympic gold medalist Kim Jae-bum. On Monday, An bulldozed through the competition with three consecutive ippon victories en route to his first Universiade gold. "I was quite nervous since the games took place at home, but I'm glad I won," he said. "Even though this competition is at a lower level than the Olympics, I think I fared well." An said his Universiade victory was simply a rehearsal to the Olympics coming up next year in Rio de Janeiro, Brazil. "I considered this competition practice for the Olympics," he said. "I wanted to fight the way I normally do, and that's why I think I won.